Passed away peacefully at the Ross Memorial Hospital, Lindsay on Friday, April 18, 2014 in her 77th year. Wife of James Cooper. 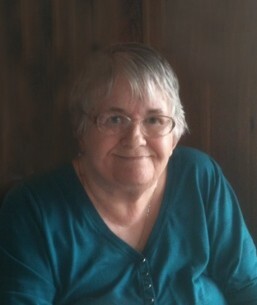 Beloved mother of Len Howe (Debbie) of Omemee and Bobby Howe (Jan) of Peterborough. Grandmother of Meghan, Daniel (Sarah), Jessica and Justin. Great Granny of Benjamin. Survived by her brother Bruce Hawkins (Gail). Predeceased by sisters Beatrice Hawkins and Bonnie Traynor and brother Stanley Hawkins. The family will receive friends at Parker Funeral Home and Cremation Centre, 19 Moose Road, Lindsay on Tuesday, April 22nd from 1:00 pm until time of memorial service in the chapel at 2:00 pm. Reception to follow. If desired, in memorial donations to the Humane Society of Kawartha Lakes, Canadian Diabetes Association or the Heart and Stroke Foundation would be appreciated by the family and can be arranged by Parker Funeral Home 705-324-1988. The family would like to send a special thanks to the Ross Memorial Hospital staff on the 3rd Floor Medical and Palliative, they made Mom's final days comfortable. Online condolences may be made at www.parkerfuneralhome.ca.